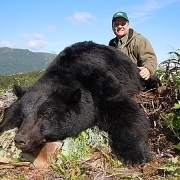 Hunting on Vancouver island, BC, Canada includes world-class big game trophy hunting for Boone & Crockett Roosevelt Elk, Black Bears (Island Bears), Mountain Lion (Cougar) and Blacktail Deer. 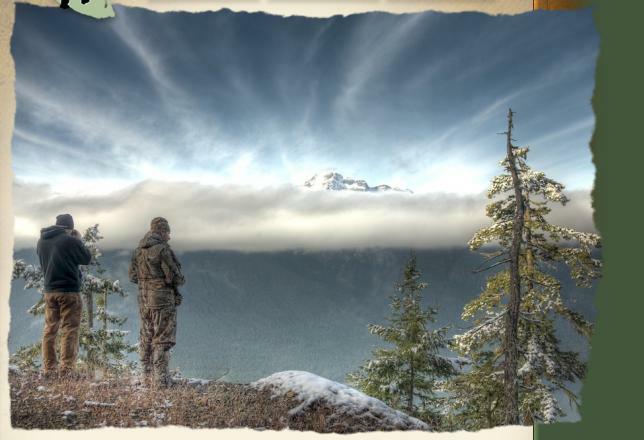 North Island Hunting Guides & Outfitters (owned and operated by Dave Fyfe) in Campbell River on Vancouver Island, British Columbia offers big game guided hunts for trophy animals. We grow them big here in BC! British Columbia has the largest Black Bear population in the world and Vancouver Island has a very high concentration of these bear. In fact, Vancouver Island Black Bears have just been discovered to be a separate sub-species of Black Bear, now known as the Island Bear. With a high percentage of large, mature boars in the population you will see many Black Bears during your guided Island Bear hunt and we'll leave it up to you to decide which one will make your hunting trip a success. 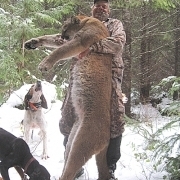 Vancouver Island, Canada has the highest concentration of Mountain Lions (Cougars) in North America and right now their numbers are at an all time high. That means that after you have taken your first mountain lion you will have the option of harvesting a second lion on the same hunt. 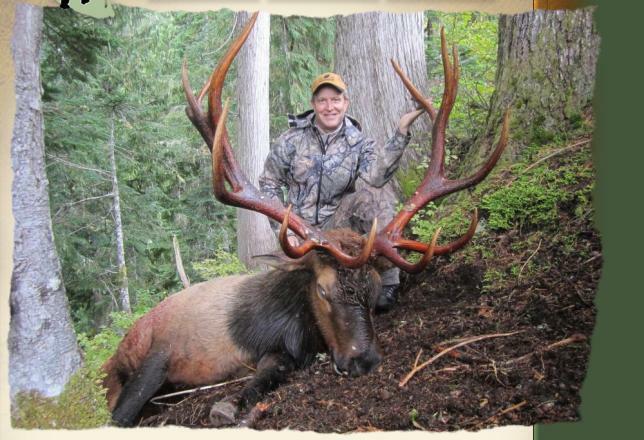 If you're interested in Elk hunting, consider a British Columbia guided hunt for Roosevelt Elk on Vancouver Island. Right now the Elk population is at an all-time high, and most hunters have taken Boone & Crockett bulls.